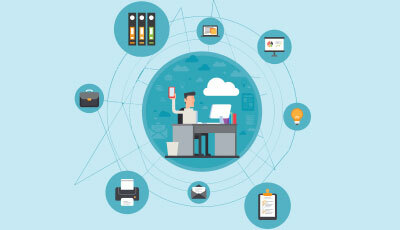 Microsoft Word Features – If you’re migrating to Microsoft Word for your word processing needs, you’re in for a pleasant surprise. More so if you’ve been using Microsoft’s own more-rudimentary tools like Notepad or Word pad. The Word application comes packed with several easy-to-use features that make working with text in ms word (apparently boring) text a fun, creative task! In this post, we cover all the tricks you will need while working with pure text. 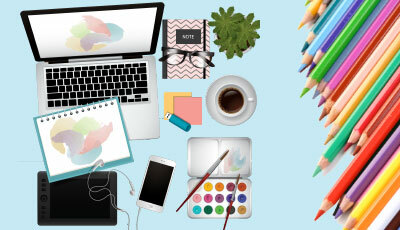 You can format them, reshape them into fancy WordArt, apply eye-catching “effects” like shadows and glows, and “style” them consistently so your Word document looks professionally designed, all while having access to basic text-editing features like copy, paste, find, replace, etc. right at your fingertips. We suggest you use this guide as a framework for practical exercise. This means that even as you read along on the awesome Word features, you should also open up a Word document on your computer or laptop and try it all out. This will help you grasp the finer nuances of Word’s rich text-editing features. We bet you’re eager to get started, so without further ado, we begin our exciting tryst with Microsoft Word. Below are the 4 best and useful features of Microsoft Word. You should also explore the “Save As” feature from the File menu, as this exposes you to the wide variety of file formats Text in Microsoft Word supports. Important ones include PDF, HTML and XML formats to make your Word document compatible with other software applications. Simply highlight the text with your mouse to “select it”. Alternately, you can place your cursor at the start of the text and use the (Shift + Right-arrow) keys to select text. Using the (Shift + Right-arrow + Control) keys will select one word at a time, while using the (Shift + Down-arrow + Control) keys will select text one paragraph at a time. These include the standard Cut (Control + X), Copy (Control + C) and Paste (Control + V) features common across word-processing tools. 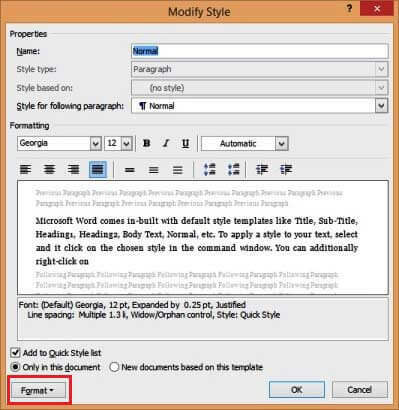 Microsoft Word also allows you to copy the look and feel – AKA the “format” of text across your document. Paste the text using the keyboard shortcut (Control + V). Alternately, you can use the Paste button on the top-left corner of the Home tab. This will bring up a smart-tag, asking you which paste option to choose. You can also the special copy command (Control + Shift + C) to copy only the format of text, and then use the Format-Painter tool (available in the top-left corner of the Home tab) to paste the format across different blocks of text. To do this, you click on the Format-Painter button, and drag your mouse over the text you want to edit. Microsoft Word also comes loaded with other standard editing features like the Find command (Control + F), and the Find-Replace command (Control + H). This multi-dimensional command comes loaded with additional options that combine together to quickly get you the results other text-editing tools provide. For instance, you can find or replace text based on a case-sensitive search, include wildcards, suffixes and prefixes and ignore punctuation and spaces within searches, etc. It’s quite a handful! 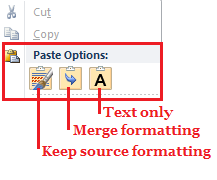 As with most Microsoft Word features, this command too factors special formatting needs and can be used to replace a text with its format across a document. For instance, you can use this feature to consistently replace the word ‘bold’ with ‘bold’ all through the document. If you haven’t guessed already, the most loved aspect of Word is the wide variety of formatting features it provides. We’ve explored just a few. But to uncover all the gems available, you need to become intimately familiar with the Home Tab View. 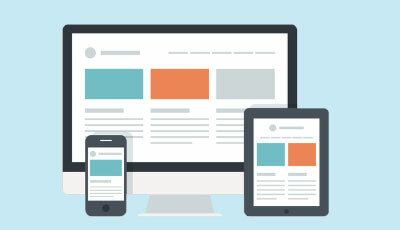 The Home tab contains 5 command groups for better formatting: Clipboard, Font, Paragraph, Styles and Editing. Clipboard: This contains the cut-copy-paste commands explained above. Styles: This is explained in detail below. Editing: This group captures the standard find-replace features explained above. 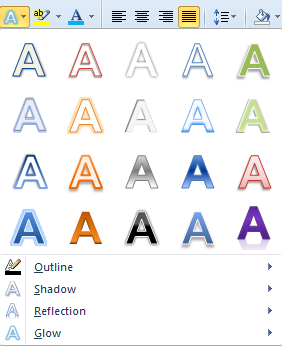 And this brings us to Word’s most popular command group: Font! Font: This is the group you will use most to format your text. This allows you to control the default size of the text characters and the spacing between them. A tip here is to turn on “Kerning for Fonts” so your text is more evenly spaced (between characters). Use this to edit the ligature of your font. (This determines how characters look when combined together.) For instance, here’s what happens to the numeric characters with Georgia font, when you set the “number forms” feature to “lining”: they get neatly aligned. Another feature you can play with is the stylistic sets, which determine how the characters react to each other. Here’s an example of what happens when you use a stylistic set of 5 on the Gabriola font. As you can see, the look of the text changes as you type along! Fun huh? Commonly used font shortcuts include. Word’s text formatting features don’t end there. A creative editor can also play with the WordArt command, accessible through the Home tab. This uses a mixture of 4 text effects: outline, shadow, reflection and glow to decorate your text with a single mouse click. You can use this feature to highlight text differently in your document. For instance, you can use an outline for headings, or a special WordArt for the title of your document, etc. The final command we will explore in the font group is the “Change Case” command. Again, this is accessible through the Home tab and allows you to change the case of blocks of text with a single mouse click. As you’re sure to have realized, that’s a LOT of text formatting in ms word features available for use. And if there’s one thing designers consistently find challenging, it’s in maintaining consistency in format across a whole document. How do you take care to apply the same format for all major headings? Or ensure that all quotes apply in italics? Or that sub-titles are aligned at the center of the page? This leads you to the next Word feature: Styles. I bet the word’s got you curious, “Style”. What does it mean to text-editing software? Note: Don’t miss the tiny down-arrow (highlighted in red in the picture above), this can list the styles in one single column for easier viewing. You can think of each style listed here as a “template,” capturing important information on your font characteristics, alignment preferences, and much more. These preferences are clubbed together in a common style. So each time you want to apply your favorite settings to a slice of text, you don’t have to manually go through the drill; you use a style to capture those settings and effortlessly apply it across the document. Microsoft Word comes loaded with some “default” styles, like Normal, Heading, Emphasis, etc. Each is a collection of different preferences (called Style properties), so you can choose the Style that suits your needs best. You can create your own Style in Microsoft Word, but this stays local to the document in use. The first style you will see is the “Normal” style. This captures the body text that runs through your document, and hence is the most frequently used style. In fact, we must mention that all other styles are built on top of this style. (For instance, if the Normal style captures the font as “Calibri” with size 12 point, the Heading style will capture the same font with a bigger size). Each style has a unique name and captures a set of common text formatting features. The preview screen is especially helpful so you get a peek before you actually OK the style. Further, the style is summarized (in Word lingo) just below the preview screen, so you can skim through it for consistency. 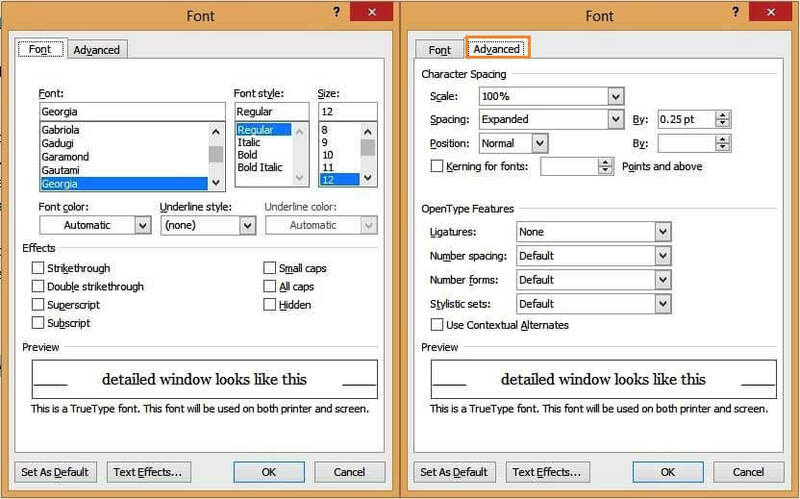 With this window, you can quickly edit the basic font, paragraph and alignment settings. Yes, you can capture common preferences across font, paragraph, tabs, border, language, frame, numbering, shortcut keys and text effect microsoft word features in 1 power-packed style. Wow! Let’s take a play with this right now, so you can apply it in your document. Change the name of the style to “MyStyle” and select the “Add to Quick Style List” checkbox below the preview screen. 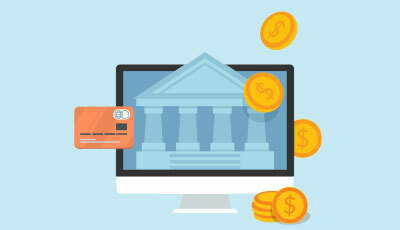 This will create a new style locally accessible in your document. Click on the Format button and bring up the settings for Font. You’re familiar with this screen. Change this to your favorite font and size. Make it bold and change the font color. The last Microsoft Word feature we will explore in this post will give you something extra for those times when you want your text to “pop”: Text effects! Prior to the 2010 version, Word had limiting design features. This is where the software lacked as professionals sought fancy design software to add zing to their pages. But with the introduction of Text effects in 2010, you have the fanciest of text-design features right there in Word. You should try this now to know more. Select some text in your document (not more than 3-5 words so you note the difference), and bring up the format menu (Control + D). Click on the Text Effects button at the bottom of the window. And voila, let loose your creative (text) design! J Don’t be fooled by the simple window that comes up. What a simple outline can do for your text. How to add a shadow to text. Create a surreal feel by adding a reflection to your text. Make your text glow (and not just in the dark)! 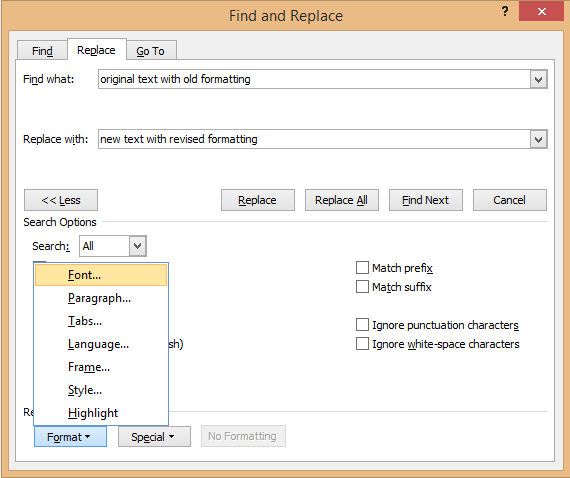 Through it, you will discover some of Word’s fancier “text-editing” features! As this post illustrates, Microsoft Word is much more than a mere text-editing tool. There is a lot of emphasis on formatting, opening you up to a world of desktop publishing options that are compatible with Word files. For instance, you could use Microsoft Word to draft an entire book, including a well-structured page layout design. You could also use it to create an online magazine or a blog. The makers correctly recognize that there’s plenty more you can do when you provide rich formatting features to the text-editing software. And we believe that Word provides this right! Wish to be a Pro in using Microsoft Office Word? 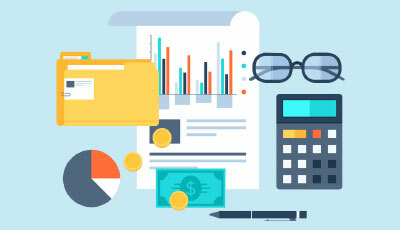 Here are some articles that will help you to get more detail about the Microsoft Word Features you Easy Working so just go through the link.